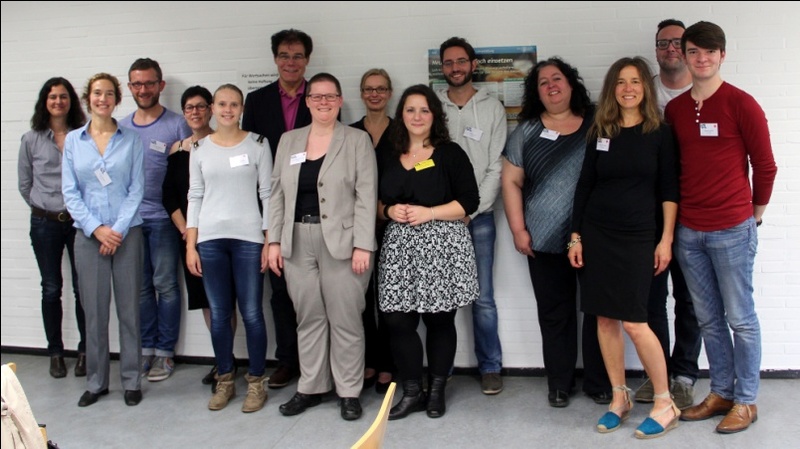 In September 2014 Dr Ulrike Bavendiek presented at the conference of the Gesellschaft für Angewandte Linguistik e.V. 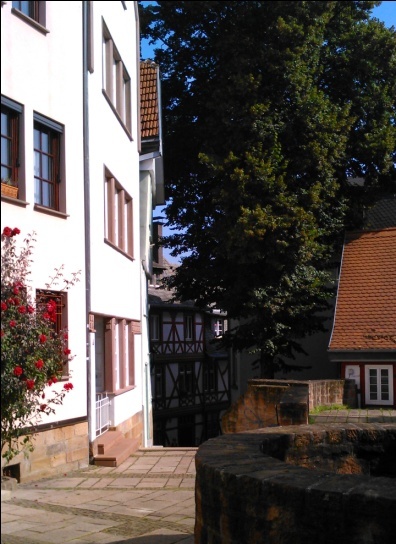 in the picturesque city of Marburg. This is the biggest international conference on Applied Linguistics in Germany which attracted hundreds of linguists from Germany and abroad to the Philipps-Universität Marburg from the16th to the 19th of September. This year’s symposium was entitled ‘Posting, poking and tweeting in and outside the classroom – the potential of social media for language learning’. In her paper, ‘Developing New Literacies for Language Learners – the role of reflection, awareness and linguistic knowledge’, Dr Bavendiek argued that participation in the foreign language on social media sites can be an enjoyable way of learning a language. It enables learners to engage with the foreign language community at a distance and to continue their language learning after they have graduated from university. However, active participation in the foreign language can be daunting. Digressions from the standard language, innovative language use and shifting and quickly evolving rules are typical on social media platforms. When breaking the rules becomes the norm, traditional teaching methods are no longer appropriate. Instead, in her final year linguistics module Ulrike Bavendiek encourages her students to observe and reflect on examples of creative language use and, hopefully, to participate themselves one day, with confidence and fun! We are pleased to announce our next all-day ‘Routes into Languages’ event this year, a Christmas Language Fair. It’s to be held on the 3rd of December and is open to sixth form students. On that day the Department of Modern Languages and Cultures will welcome students and teachers from various schools from the Northwest area. We will offer a series of language classes and tasters -Mandarin, Basque, German, Italian, French, Portuguese, and Spanish- and cultural workshops – including capoeira, salsa and tai-chi – highlighting the benefits of learning languages at the University of Liverpool and an opportunity to have some fun. 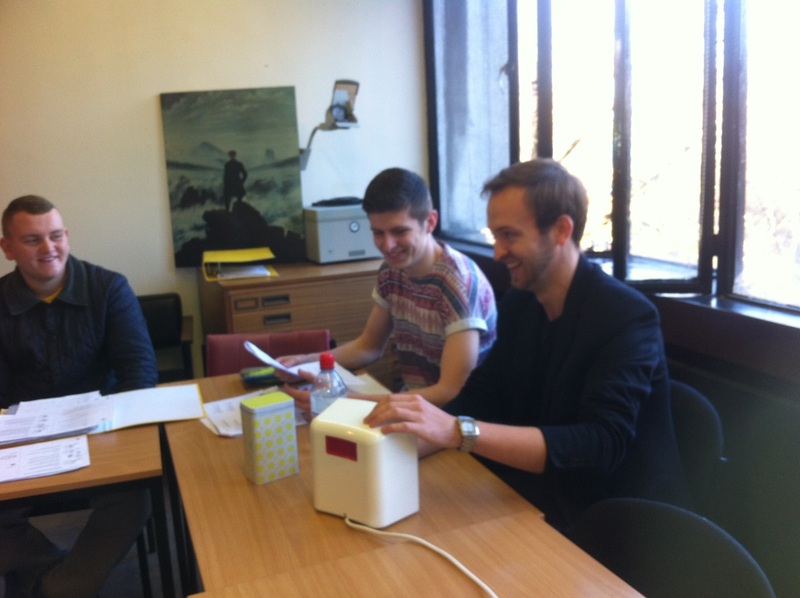 Second year students in German worked on a translation of a manual of a coffee machine from German into English. While one student was reading out his English instructions, the other student tried to follow these instructions and make coffee – with success! Bem-vind@s a “Portuguese Studies at Liverpool”! 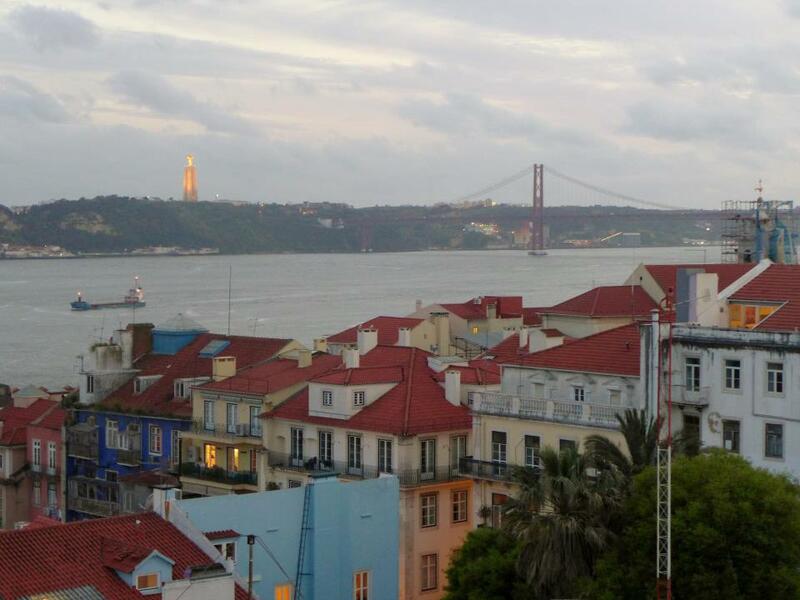 Our new Facebook page “Portuguese Studies at Liverpool” is a space where members of staff and students will be sharing news on our work in Portuguese studies at Liverpool and beyond. 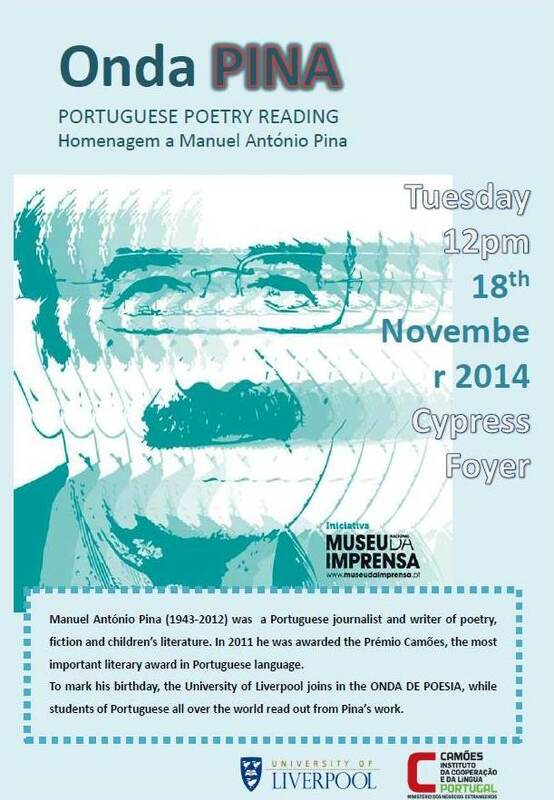 Here, you will find information on events, conferences, publications, along with interesting news on the Lusophone world. Like us on Facebook, and be part of a wider community of current and prospective students, colleagues, and friends! Muito obrigad@! Click here https://www.facebook.com/pages/Portuguese-Studies-at-Liverpool/549921465107673 or search for Portuguese Studies at Liverpool on Facebook. 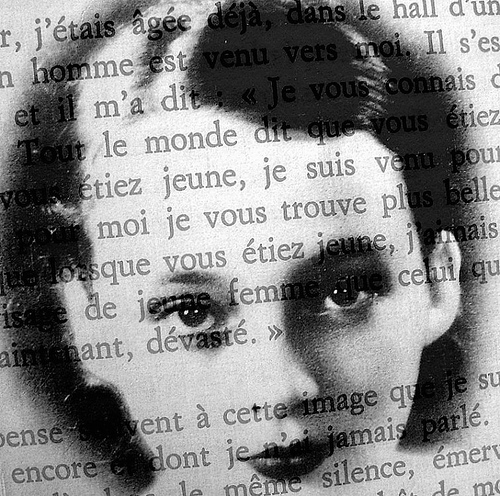 The first all-day event this year, entitled FACE (Film and Culture Event), was held on the 6th November and was open to language students from Years 10 and 11. 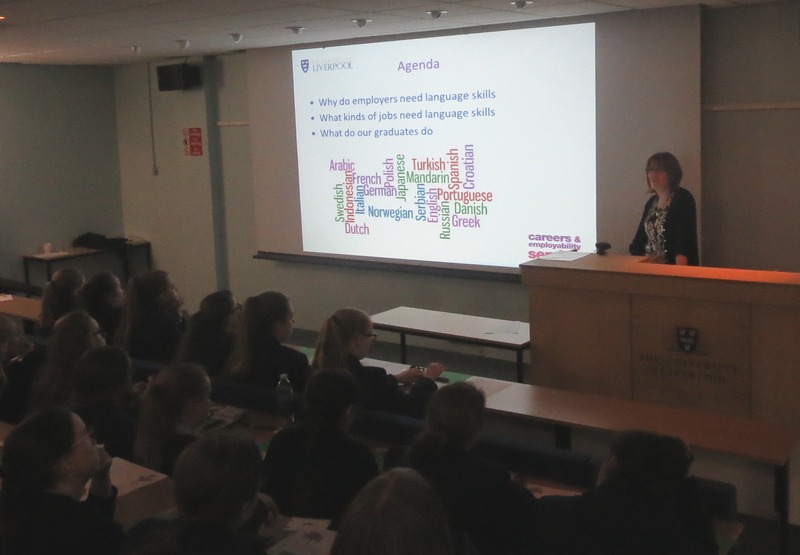 We welcomed 103 students and 12 teachers, from 5 schools from the Northwest area, to a series of film sessions and language tasters classes – delivered mainly by staff members of CLAS – highlighting the benefits of learning languages at the University of Liverpool. All the activities were received with great enthusiasm, and students’ comments in the post-event evaluation were very positive and promising. We are already preparing our second Routes into Languages event, a ‘Christmas Language Fair’, which will take place on the 3rd of December. Over the next weeks we’ll be keeping you posted on all developments regarding this exciting event. For more information, please contact: Nelson Becerra nelson.becerra@liverpool.ac.uk or Ana Almeida anasial@liverpool.ac.uk. Funded by a Santander travel grant, Lisa Shaw visited University of Liverpool’s partner university in Brazil, the Universidade Federal do Rio de Janeiro in October to discuss the development of research collaborations between the two universities in the area of film and Brazilian studies. She was interviewed by journalism students about her research interests and gave a research seminar on Carmen Miranda’s vocal and visual performance style in Hollywood films for students and staff of the School of Communication Studies. Lisa also visited the School of Audio-visual and Communication Studies at the Universidade Federal Fluminense in Niteroi to discuss ideas for future research collaboration and to give a talk based on her 2013 monograph Carmen Miranda (BFI/Palgrave Macmillan, 2013). Find the link to the full interview here. On 22 October 2014 Dr Shaw also gave a research seminar in the Department of Modern Languages at the University of Glasgow, entitled ‘Carmen Miranda’s Visual and Vocal Performance Style in Brazilian and Hollywood Films’.